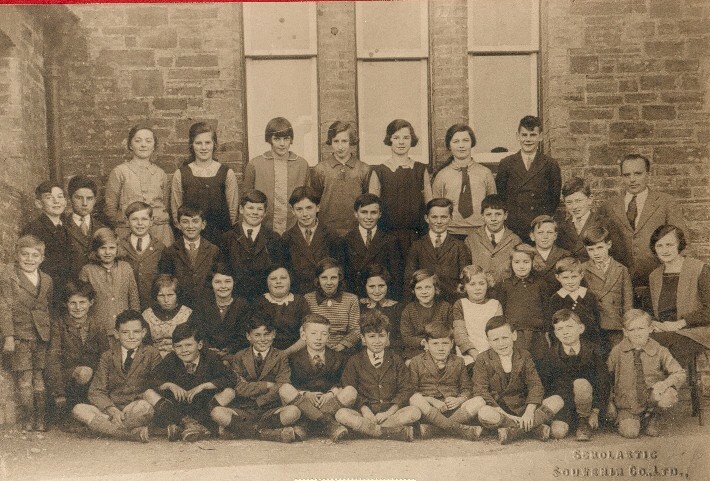 The history of Tresmeer and its parish near Launceston | Launceston Then! Tresmeer (Cornish: Trewasmeur) is a hamlet and a civil parish in north-east Cornwall approximately seven miles north-west of Launceston. 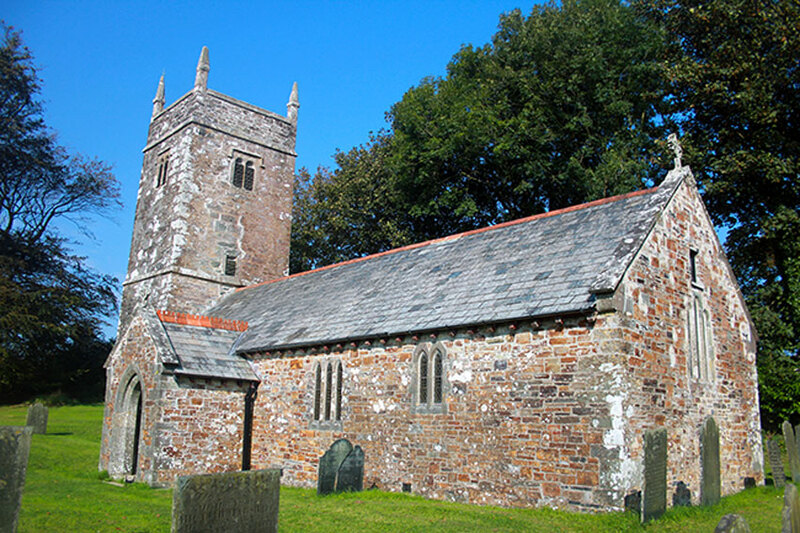 The civil parish is bounded to the north by Treneglos and Tremaine parishes, to the east by Egloskerry, and to the west by Treneglos parish. Tresmeer, which is a Cornish name, signifies the great town, or, the town near the lake. As well as the churchtown, the other main hamlets are Splatt and Treburtle. At one time nearly all the land in this parish was part of the manor of Werrington, belonging to the Duke of Northumberland, which was purchased of the family of Morice. 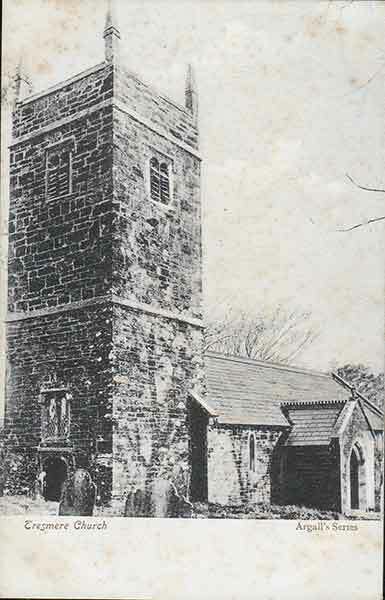 The parish church of St Nicholas is in the village at Churchtown, but due to a fall in the congregation it closed for worship in 2015. The structure is simple, containing only a chancel and nave. By the middle of the 19th century, this had become incredibly decayed. There are a south porch and an unused north door. The tower was of two stages and finished with a plain parapet. 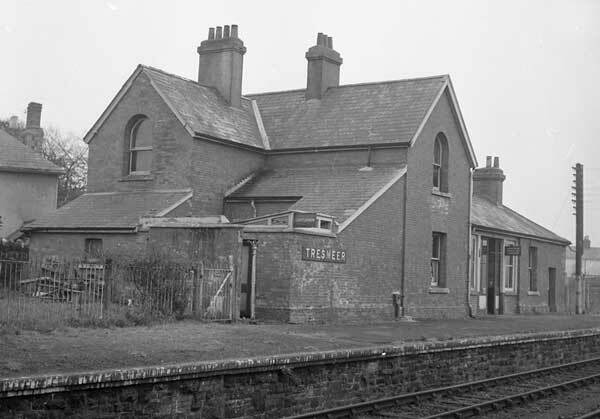 Tresmeer was served by a railway station on the North Cornwall Railway line until closure of the route in 1966. More Ridin’ Roun’ a story of a fortnights holiday at Tresmeer in 1937 by Sal Tregenna. 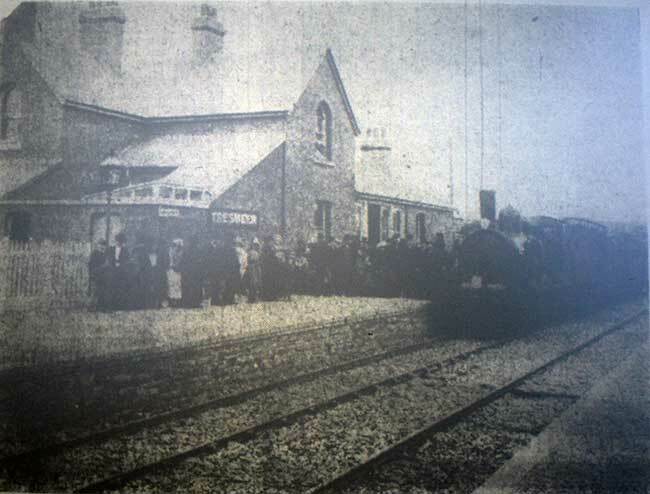 Tresmeer Station official opening in 1892. Troods Store at Tresmeer Station. 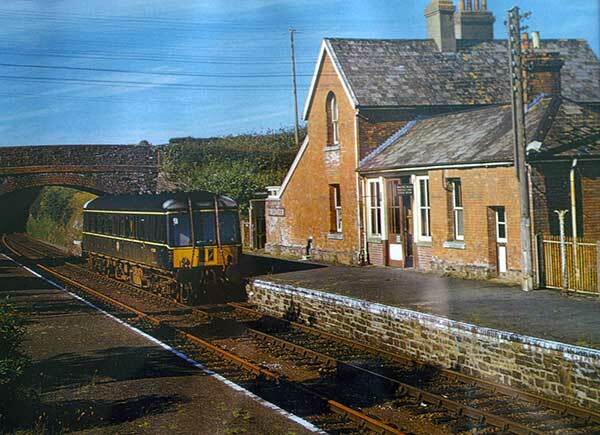 Tresmeer Station c.1950's. Photo courtesy of Ray Boyd. 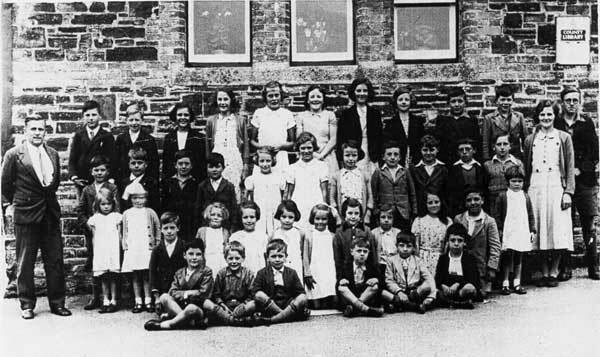 Protest at the closure of Tresmeer School in 1962. Tresmeer School closure article from June 1964. 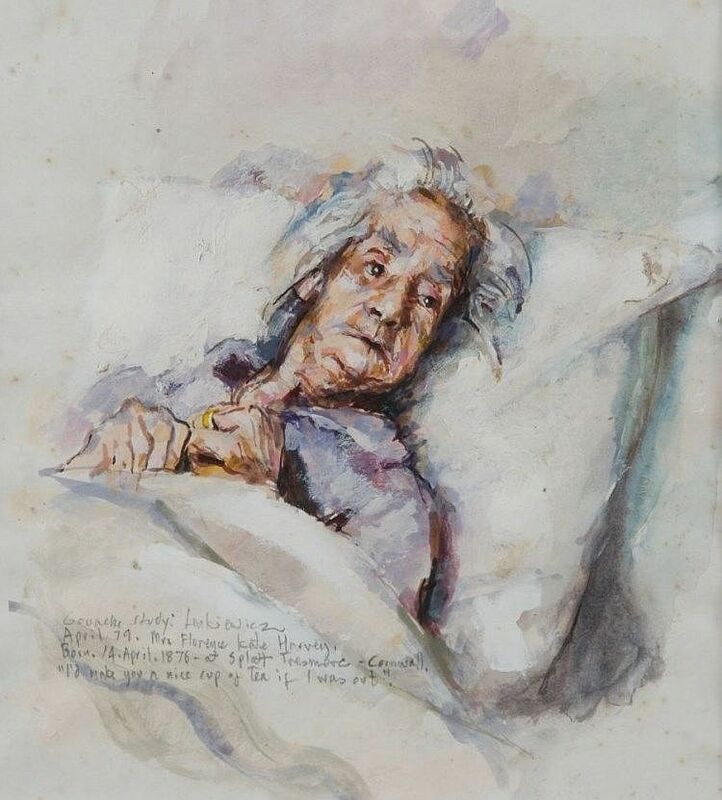 Mrs. Florence Kate Harvey born on 14th April 1876 at Splatt, Tresmeer painted at the age of 103 in 1979. Rehoboth Chapel re-opening in September 1959 by Mrs. M. Turner of Castle street, Launceston, whose mother, Mrs. A. Reed, opened the building on October 6th 1927. Mrs Reed was present, as also was Mrs. C. Bate, in her 90th year. Tresmeer itself does not have a war memorial or a roll of honour so it is very difficult to find just the basic information on any of its population that may have served during the two World Wars. However I know of seven men who served during World War One and have listed them plus the Laneast memorial on Laneast downs does list some men that came from Badgall which is a small hamlet to Tresmeer’s east. Tresmeer’s Men that served during World War One. 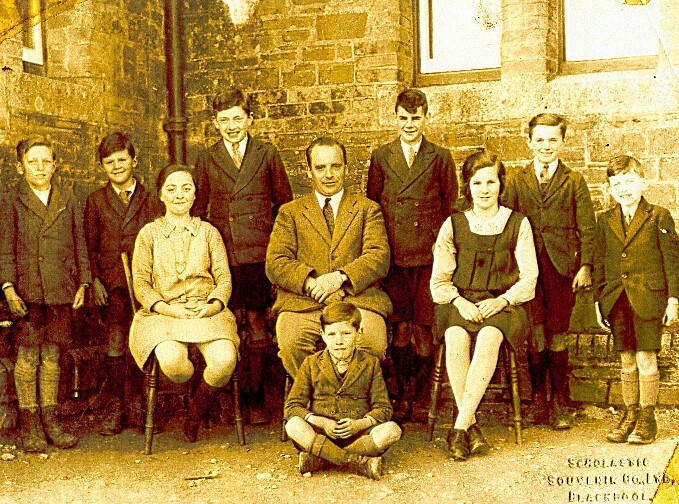 Thomas was born in 1898 to Charles and Elizabeth Ayers at Churchtown, Tresmeer. His Father was an Agricultural Labourer with the family living at Badgall, Laneast in 1911. There is no information on his military service. 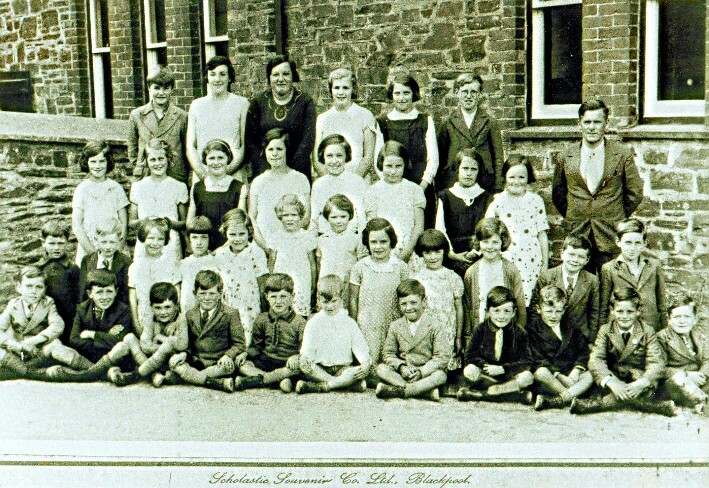 Albert was born to Samuel and Elizabeth Crabb on the 10th of February 1890 at Little Sitcott, St. Giles on the Heath. His Father was a Carpenter. 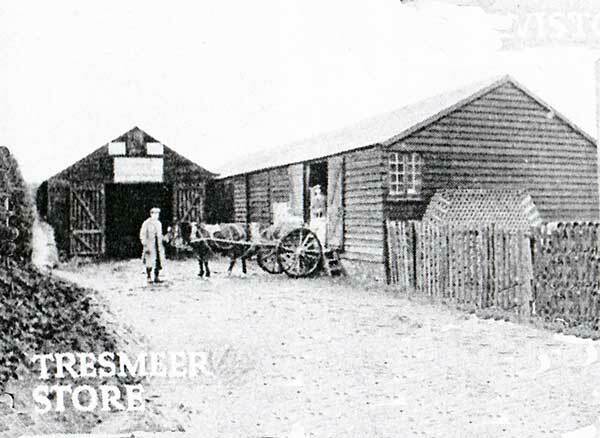 The family moved to Treburtle and in 1911 Albert worked as a Butcher. Albert enlisted as a Territorial Reserve on the 16th of January 1912 at Launceston with the Duke of Cornwalls Light Infantry (Regimental No. 1225/5714) but in 1916 was transferred to the Worcestershire Regiment as a Private (Regimental No. 202637) serving with the 2/7th, 3rd Battalion. He served in many areas from HQ (1914-1916) to in the field at France from then on. 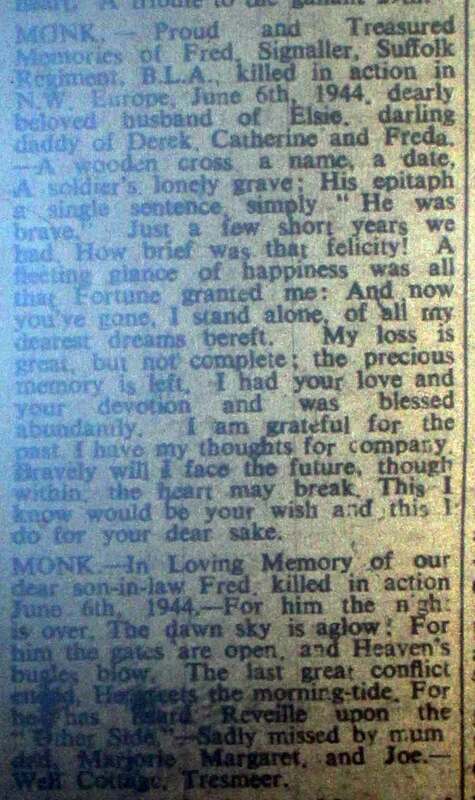 He was gassed on the 17th of August 1918. He recovered from this and was back at Flanders on the on the 10th of September only to be wounded in action on the 12th of November a day after the armistice. He again recovered from his injuries and returned to England on the 16th of May 1919. He was demobilized the following month. On returning home he had to visit Dr. Thompson for further treatment to his injuries sustained in the the previous November. He was awarded the Campaign Medal Index Cards and Silver War Badge Cards. He married Janie Rowe in 1948 at Launceston. He died in 1974. William was Albert’s younger brother being born at Little Sitcott, St. Giles on the Heath in 1892. As Albert he was living at Treburtle in 1911 and was listed as being a Rabbit Trapper. He enlisted with the Devonshire Regiment (Regimental No. 45610) as a Private serving with the 8th (Service) Battalion. He was killed in action on the 9th of May 1917 whilst fighting in Flanders. His body was never identified but his name is commemorated on the Arras Memorial, Arras, Departement du Pas-de-Calais, Nord-Pas-de-Calais, France, Plot: Bay 4. Joseph was born in April 1892 to Richard and Mary Dawe at Tresmeer. His Father was a Railway plate layer. I have not been able to find his military record, but I do know that he survived the war and lived until 1971 when he passed away whilst living in Bournemouth. 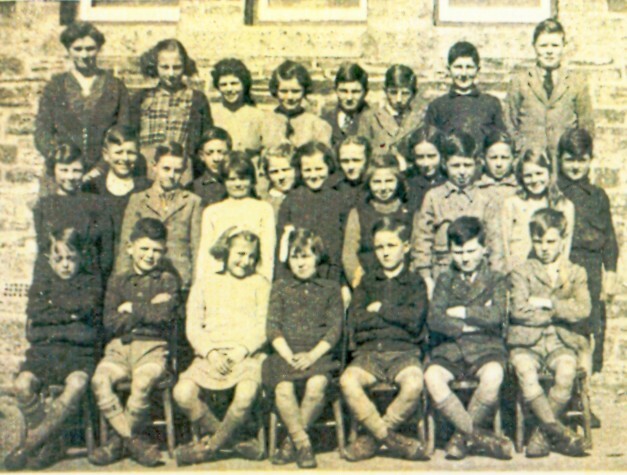 George was born in 18th of June 1896 to Samuel and Jane (nee Jewell) at North Tregeare, Tresmeer. He was the cousin to Joseph above. His Father was also a Railway Plate Layer. He enlisted with the Duke of Cornwalls Light Infantry (Regimental No. 2582/200776) as a Private. He survived the war and lived until 1971 when he passed away in Launceston. Owen was born in 1895 to William and Ellen Davey at Treneglos. His Father was a Farmer. He served with the Royal Artillery (Regimental No. 1662271). He survived the war and lived until 1965 when he passed away in Launceston. Albert was born in 1892 to Job Frank and Eliza (Nee Thomas) Pethick at Badgall, Tresmeer. His Father was an Agricultural Labourer. On leaving school, Albert worked as a Waggoner on a Farm. He enlisted at Launceston in 1914 with the Duke of Cornwalls Light Infantry as a Private (Regimental No. 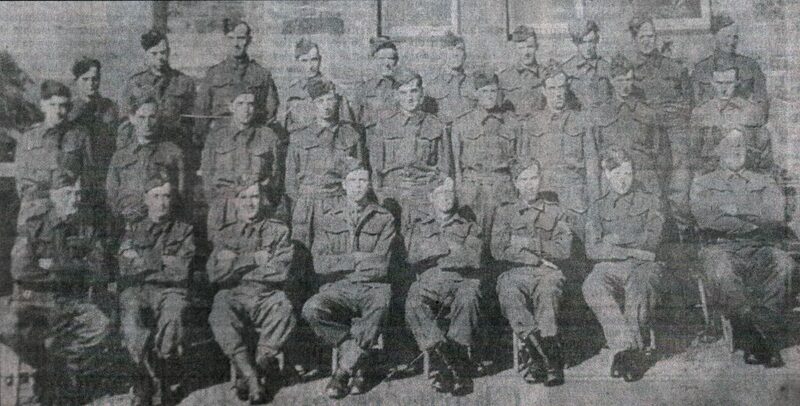 24462) serving with the 1st Battalion. He was killed in action at the ‘Battle of Arras’ on the 20th of April 1917. His body was never identified but his name is commemorated on the Arras Memorial at Faubourg-D´Amiens Cemetery, Arras. Tresmeer’s Fallen from World War Two. 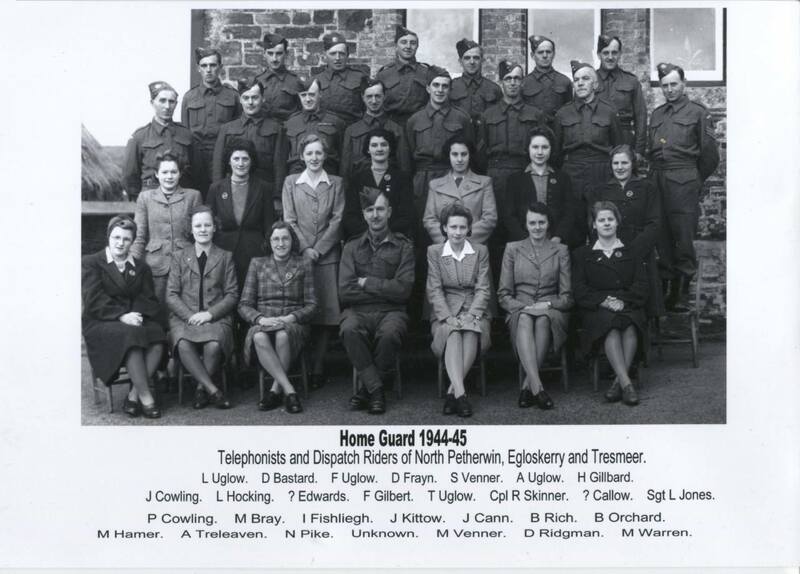 Tresmeer Homeguard: Back row: A. Warren, L. Cory, W. Kinsman, R. Bolt, D. Martin, ? Martin, C. Buckley, F. Cullis, W. Sandercock and W. Stanbury. Second row: W. Kittow, A. Blight, Frank Bate, J. Gimblett, T. Uglow, F. Gimblett, T. Davey, P. Wickett and K. Peter. Front row: J. Hamer, E. Shillaber, A. Orchard, G. Kittow, A. Crabb, F. Heard, C. Gilbert and D. Parsons.